Coral reefs face a growing number of threats, from climate change and storm damage, to sediment and nutrient run-off. Join us in the water on the Great Barrier Reef to help scientists develop best-practice methods for coral recovery. Coral reefs are under threat globally. Warming sea surface temperatures are leading to stronger cyclones which physically damage corals with massive wave action, and warmer waters also promote ‘coral bleaching’. In 2015 and 2016, the Great Barrier Reef saw back-to-back catastrophic bleaching events affect huge areas on this iconic World Heritage Area. Human activities such as coastal and inland development increase both sedimentation and nutrient run-off, which are harmful to corals as well. They can even lead to the outbreak of the Crown-of-Thorns sea star, which is a predator of coral tissues. These multitude of impacts happening more and more frequently mean that reefs have less and less time to recover and regrow, leading to an ecosystem shift to algae-dominated environments. With this ‘macro’algae dominating the seafloor, new corals cannot settle and recolonize the area. 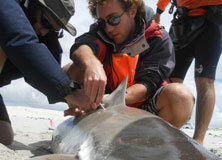 Reef managers and scientists know that active intervention is needed to restore the reef. But what is the most effective way to go about this? On this expedition, participants can get involved through scuba or snorkel activities. You will assist researchers in making baseline measurements of environmental conditions, actively removing algae, deploying coral recruitment (settlement) tiles, and assessing fish and invertebrate diversity and abundance. By joining this expedition, you’ll be at the forefront of active reef restoration science. 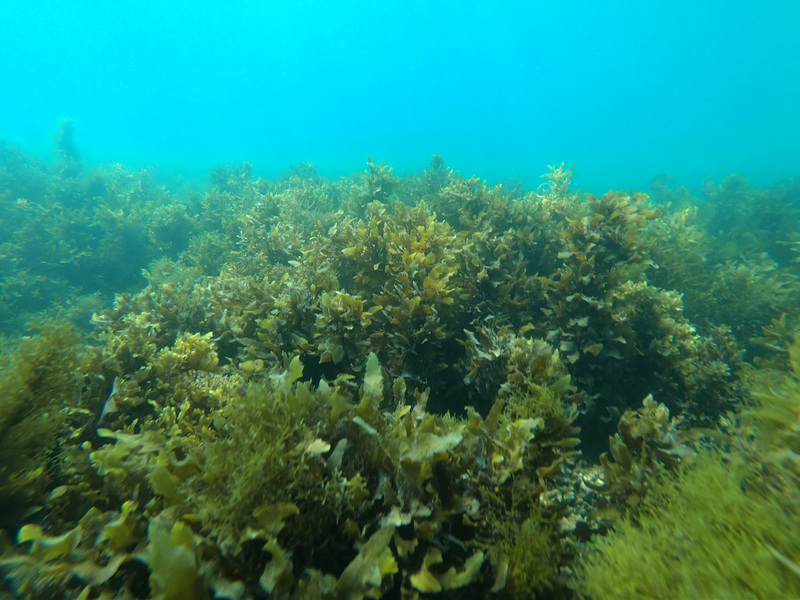 You will assist researchers in experiments that aim to develop best practice methods for removing this macroalgae and allowing coral to regrow. You will be directly involved in filling in the gaps that will enable reef managers to make evidence-based decisions about active interventions that support the recovery of the Great Barrier Reef, and reefs all over the world. You can play a part in helping corals recover from the multitude of human-induced threats they face. Coral reefs provide habitat for fish, coastal protection, and have biodiversity that is almost unparalleled on land. And yet coral reefs are under threat like never before. Coral bleaching, damage from cyclones, and nutrient run-off leading to Crown-of-Thorn sea star outbreaks are among the most significant threats to tropical coral reef ecosystems. Approximately 19% of the world’s coral reefs have been destroyed, with no immediate prospects of recovery. An additional 15% are at risk of collapse from human pressure within the next 10 to 20 years, and a further 20% are under a longer-term threat of collapse. 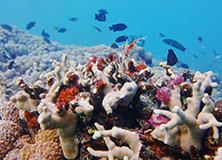 In previous Recovery of the Great Barrier Reef expeditions held on Orpheus Island, researchers studied coral disease and how corals recolonized an area after being destroyed by cyclone Yasi in 2011. This has played a fundamental role in our understanding of natural (on non-human assisted) recovery processes of coral reefs. Now, reef managers and scientists know that we must play an active role in helping coral reefs recover, however controversy exists as to how best do this. Many individual inshore reefs in the Great Barrier Reef Marine Park have faced several ecological disturbances (storms damage, bleaching, etc.) and are now dominated by non-coral organism like macroalgae. Magnetic Island is representative of many of these reefs, and therefore makes an excellent study site to understand how our efforts of active restoration might best be undertaken. There is a gap in our knowledge of coral disease that represents a major stumbling block to developing management and conservation strategies. This expedition seeks to address this gap in order to ensure the development of better strategies for protecting Great Barrier Reef corals in the future. Much of Magnetic Island (“Maggie” to the locals) is a national park, hosting one of the larger populations of koalas in the wild, but almost 3000 people also call “Maggie” home. Only 8 kilometers off the coast of Townsville in Queensland, Australia, Magnetic Island hosts bird sanctuaries, walking tracks, and the wreckage of the SS City of Adelaide ship not far offshore. It is also renowned for spectacular fishing opportunities. Magnetic Island got its name from an effect it seemed to have on Captain Cooks’ compass, however nothing has been scientifically proven about this claim. Magnetic Island has a wide variety of amenities, but still provided you with the feel of a tropical island getaway. Day 5: Field work in the morning. Departure after lunch. Conducting “cryptic crawls”, looking for cryptic/unusual/shy species of fish or invertebrates in the bottom substrate (coral or algae). Dr. David Bourne works with Earthwatch volunteers to study the health of corals in Australia’s Great Barrier Reef. 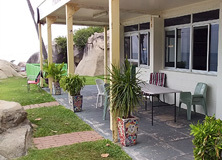 During this expedition, you’ll stay at the facilities hosted by the Surf Life Saving Club, located next to the beach in Picnic Bay on Magnetic Island. The facility has gender-segregated male and female dorms with bunk beds sleeping approximately 12 people each, and there are several hot shower stalls and toilets. There are well-equipped kitchen facilities, and a billiards (aka pool) table for recreation. Laundry facilities are available. All rooms have air-conditioning, fans, and screened windows. This is a project for an avid scuba diver. You will spend most of your days underwater. The fun thing about the project is you are looking for very small things. While under water, in a transect you are counting and identifying all the corals. First the large hard coral then all the baby corals. After, being underwater for an hour and a half, you realize you haven't even looked at the fish. But don't worry, there was time to do a couple of recreational dives where you can take in all the scenery. David, Yui and Greg were amazing. Their knowledge and willingness to share that knowledge made this project very special. I will never look at the ocean the same again. There are so many microbes, bacteria and viruses that live in the ocean and affect the health of the ocean. These researchers are not only studying the corals but are also trying to understand the relationships between the good and not so good viruses, bacteria, and microbes that effect the health of the reef. After counting and collecting coral (both healthy and sick with black band disease) during the day - it is back to the lab - to process and run experiments. At the same time we were divided into teams to cook dinner each night. At the end of the week, we all voted on the best dinner and the winner got a prize! After dinner, there was usually a talk and then we all headed to bed. There is hardly any downtime on this project but every minute was fun and informative!! If you are a scuba diver I highly recommend the project!!! 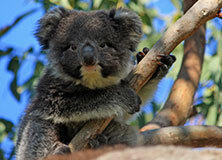 The charismatic koala is a species beloved by many. But how is human-induced climate change reshaping its world? What’s swimming in Walker Bay? 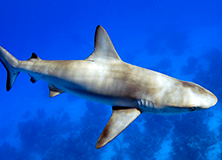 Get to know the sharks that live there so that we can better protect their habitat.